When I first interviewed Dino Ciancamerla aka Neutrino almost 10 years ago as part of the A.T.A.R.I. Project, he’d just played the main stage of the Fridge for the first time for Logic and had started to work on his debut album. He’d already played MOS and was playing his own tracks out, but he knew even then that the best was still to come. Fast forward the best part of a decade and Dino and his gorgeous wife Kerry are the closest thing to Posh and Becks the psy scene has ever had, having promoted a number of epic events under their Yeah Baby brand, while as Neutrino, Dino has just released his incredibly catchy remix of Phaxe's 'Unforgotten' on legendary prog label Iboga Records. Skyrocketing to the top of the Beatport Psy Trance charts, it hit No. 1 over new year while Dino and Kerry were in Thailand, where Dino was playing at Koh Phangan’s Halfmoon Festival. Hey Dino, thanks for taking time out to answer some questions for your fans on HaFa. You were last interviewed on here last January. How was 2018 for you? What have been the highlights? And the challenges? Hey guys, thanks for taking time to read this. 2018 has been both challenging and rewarding. I guess the challenges have been all the sacrifices that are involved in cutting my work down to two days a week to focus on producing, while still trying to maintain a reasonable lifestyle. I can’t thank my wife Kerry enough for this as she has sacrificed a lot too. Less dates, fewer gifts, far too much music talk etc. But she has been incredible and has made all the difference to my success. The hard work is paying off and I now have a full hour of my own music to start performing live. 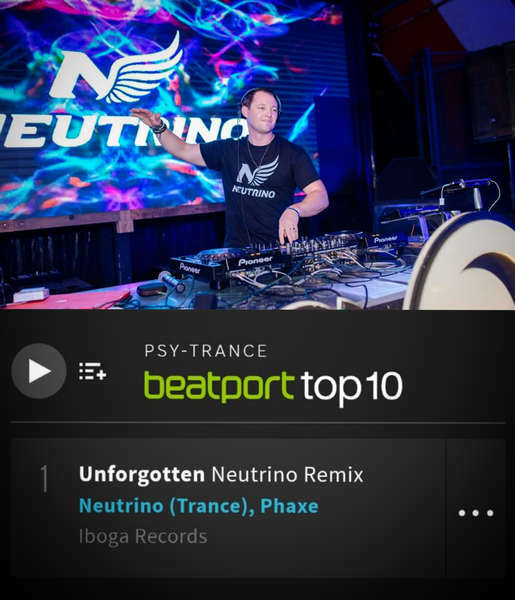 And my remix of Phaxe – ‘Unforgotten’ released on Iboga hit No. 1 on the Beatport Psy Trance charts which is definitely a highlight for me. 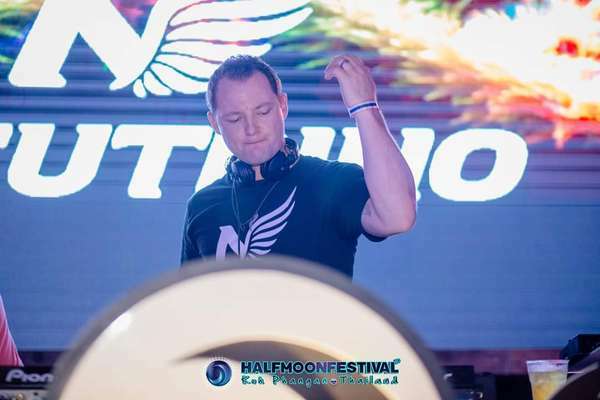 My wife and I have just come back from an epic and much needed three-week trip to Thailand where I was performing at the Halfmoon Festival on Koh Phangan. We then enjoyed the rest of our time checking out some other areas like Phi Phi and Krabi. It was magic, and just what we needed to feel refreshed and ready for the year ahead. We’re doing this interview on the eve of the launch of your new event, Yeah Baby Productions Presents: Progression Sessions @ Fu Manchu, Clapham. Starting on February 1st it’s going to be on the first Friday of every month from 9pm – 3am. After some time out to focus on your music production, why have you decided to dabble in events again? This was definitely not the plan; the London clubbing scene is such a tough game. But it’s a catch 22 situation. Promoters can’t afford to put on small events with big names and large events are such a risk that only a few brands are managing to pull it off such as the awesome guys at Illuminaughty. My event partner (and wife) Kerry and I have always wanted London to have a regular Progressive night where we can not only have a big international headline act, but also where we can showcase some fresh new local talent. The night is called Progression Sessions because the programming of the music has always been paramount to what we believe makes a good night. It has taken the perfect set of circumstances to fall into place for this venture to be at all viable. Fu Manchu is the perfect venue and we are very grateful that they are allowing us to bring our vision to fruition. You’ve got prog legend Ace Ventura confirmed up to come and headline your first edition. His sets at Boom Festival earlier this year were absolutely incredible! Are you not worried there might be a riot having him play at a 350-capacity event in Clapham? Yoni (Ace Ventura) is such a great artist and has become a good friend over the years. We get to see him often in the UK at big shows and festivals but never in an intimate setting. The same goes for all the headline acts that we have in store. There is something extra special about seeing these huge acts up close and personal. The atmosphere of the event becomes completely different to a large-scale event. 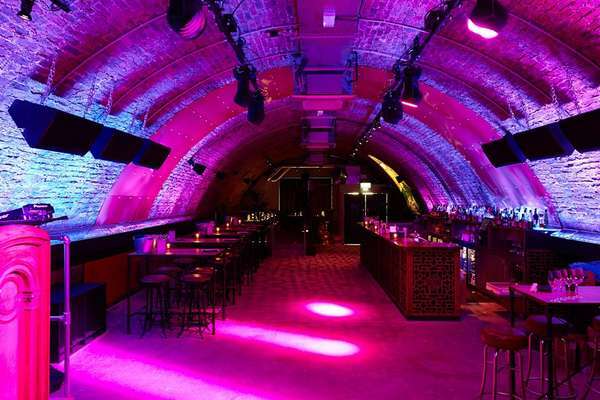 We believe that this will add a new experience and something different for clubbers in London and the rest of the UK. It does mean that we are very likely to sell out, so we do advise you to buy your ticket and come down early to secure your entry. The great thing about Fu Manchu is that the shape of the venue is perfect and forms one big dancefloor. You’re aiming to secure an international headliner for each event. Who else do you have confirmed for future editions? We are so excited about everyone we have confirmed so far. In March we have the super talented Captain Hook presenting his brand new album ‘Origin’. In April we have the legendary Liquid Soul and in May we have Morten Granau. And as long as we get the support from the UK clubbing scene the acts will continue like this every month. Your venue Fu Manchu functions as a vegan restaurant called ‘The Meat’ during the day. Will there be any food available on the night or is it all about the music? The restaurant will close an hour before our event and then it’s all about the music. How will the music progress throughout the night? Will it all be progressive psy trance, or are you aiming to mix things up a bit? The journey of a night is what makes it so enjoyable. So, we would prefer people to come down as early as possible so that you can be a part of it. Music will range from Deep House and Melodic Techno in the first two sets and then we will progress the groove and tempo from there. We think its perfect for a Friday night, to allow people to get into the groove, chat and laugh with friends and of course dance, dance, dance. There will be plenty of Prog Psy. And most of the time the headline acts will be playing extended sets. You and Kerry took a break from running larger scale events so that you could focus on your music production. How on earth are you going to keep producing on top of running a monthly event? Do you ever sleep?! Haha, this is yet to be determined. It is all very time consuming. But Kerry and I are a great team and we really do believe in this formula, for lack of a better word. And we if we get the support from the scene on a monthly basis then we hope things will flow smoothly. You’ve been into electronic music since you were 16 years old and played your first set on vinyl at a hard house night in Leyton: how do you reckon your sound had changed and evolved over the years? Well it all started with Hard House and Hard Trance, but I was never really producing these genres. After hearing Astrix’s ‘Eye To Eye’ I was hooked on Psy Trance and that’s when I started to dabble, albeit primitively, with producing. I’ve always had an affinity with anything that has a great groovy bassline but still incorporates melodic elements. As the Prog Psy sound started to take off about 12 years ago with the likes of Gaudium, Ace Ventura and Vibrasphere, I was hooked. And more recently artists like Neelix, Phaxe, Morten Granau and Ghost Rider really move me. 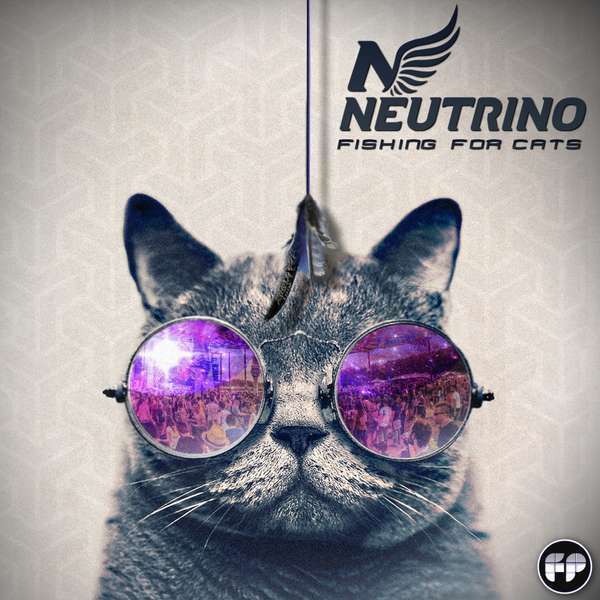 How would you describe the current Neutrino sound? I have only really been producing seriously for the last year and a half and have taken inspiration from my favourite artists, but I don’t try to mimic them. My sound Is still developing but I would say that a story is always important. A driving groove, phat bass and melody are key factors in my sound. I enjoy changing the feel from serious and deep, all the way to full on cheese during my sets. The important thing is that I am playing what I love and believe in. It’s not always going to please everyone but if it pleases some then I a have achieved my goal. You’ve just remixed ‘Unforgotten’, a track from one of your all-time favourites Phaxe, which was released on 28.12.18 on top international prog label Iboga. This must be an absolute dream come true?! The feeling really is incredible. To have the honour of remixing one of my favourite tracks by one of my favourite artists is just so special. And then to have it released on my favourite label - Iboga Records. I am just over the moon and thankful to both Kevin (Phaxe) and Emok for giving me the chance. And the time of writing this it is actually sitting at No.1 on the Beatport Psy Trance charts. Such a great way to start off the new year. But the credit really goes to Kevin (Phaxe) for writing such a beautiful tune in the first place. It is so uplifting and has so much emotion to it. How did this remix come about? Was it difficult to produce it given the amount of pressure you must have been under? I met Kevin (Phaxe) for the first time when we booked him to play for our Babies event a few years ago, I was so looking forward to hearing ‘Unforgotten’ in his set and then he didn’t play it. I hadn’t requested it because I was so sure he would play it anyway since it is such a great track. Of course, he had so much new material to get through. A few years later we were both playing at Burning Mountain in Switzerland. I was standing backstage with Kerry and Morten Granau while Phaxe was playing his set. Morten told me to go on stage because Phaxe was about to play ‘Unforgotten’ just for me even though he never really plays it anymore. I felt really touched by this. A year later Kevin very kindly invited me to come over and spend some time with him in his studio and it was after this trip that I asked him if I could do the remix. He warned me that other artists had tried and given up but I was determined. The original track has such a perfect arrangement, so it was always going to be a challenging task. But I think because the track just resonated with me so much, I felt I could put my own spin on it while still keeping true to the original arrangement. And I’m just so happy it all worked out. You’ve also got a track called ‘Fishing for Cats’ coming out in mid-January on Future Progressions. As a fellow cat lover I can understand how your cat might be the inspiration for a track, but how on earth do you fish for them? Or is this something that the cat whisperer in you might struggle to explain to us mere humans? Haha, we have a toy for our kitten Pixie. It’s like a rod with a string and a feather on the end. So when you are playing with it, it feels like you are fishing for cats ... and that’s where the name came from. The plan was to actually feature my kitten, Pixie, on the album artwork as she is just the cutest thing. But she simply refused to stay still for the camera and so we had to find a replacement. ‘Fishing for Cats’ is actually OUT NOW. So please go and grab a copy using the link below. You’ve sacrificed a lot to be able to focus on music: if you were going to give the up and coming music producers reading this your top tip, what would it be? Do it NOW. Don’t wait. Make the choice, take the leap, believe fully in yourself and if it’s meant to be, it will be. I wish I’d taken this leap of faith 10 years ago. But I am still so grateful that I have done it now. Where there is a will, there is a way! On a lighter note, what’s your view on triplets: are they the proggiest thing about prog, or the spawn of Satan? You know what: variety is the spice of life. I actually have not yet made a track with triplets, but I have certainly had a few great dancing sessions on the dancefloor to that style of bassline. I think used sparingly they can help change up the groove nicely. But it’s about balance. 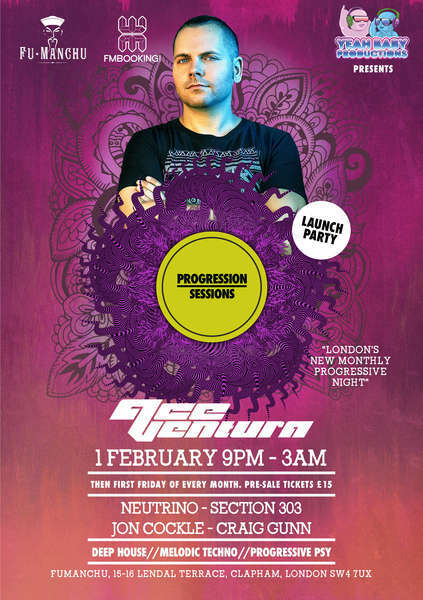 Finally, why should readers break out their winter woollies and come to Yeah Baby Productions Presents: Progression Sessions @ Fu Manchu, Clapham? It’s almost impossible to see such big artists in such a perfectly intimate venue for £15 a ticket. We are also making a huge effort to support up and coming local producers. Sometimes you will have heard of them, other times you will be discovering someone completely fresh. For the launch we have Jon Cockle, Section 303 & Craig Gunn. With your support we can actually improve the London clubbing scene. Thank you all so much for your support for both my music and for our events. Buying an artist's music (or streaming it legally) can make all the difference to their careers. Your support is really appreciated. 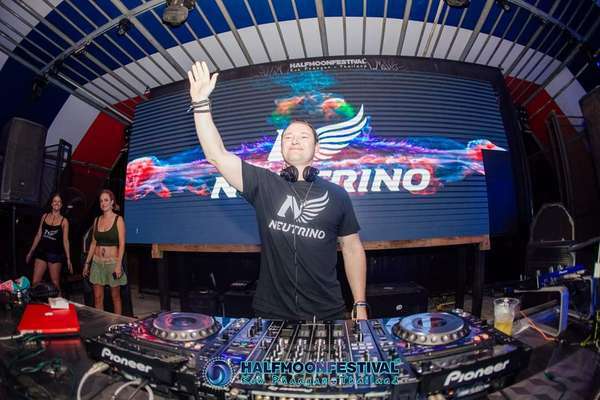 Photos and images courtesy of Neutrino and Progression Sessions. Halfmoon party video courtesy of KohMotion. Not to be reproduced without permission. Cost: Early Bird Ticket - GBP 15.00. "London's Newest Monthly Progressive Night"
We have teamed up with Fu Manchu in Clapham, to bring you a series of EPIC events. "Progression Sessions" will take place on the first Friday of EVERY month (from February 2019) and will see a host of the international headline acts over the next year. We also want to make a point of supporting up and coming UK producers across house/tech & progressive genres by offering them a platform to perform their productions. The venue has one room which means all the incredible energy builds in one place. The flow of music throughout the night is of paramount importance to us. Expect a smooth progression from Deep House & Melodic Techno to Progressive Psytrance.